Finding a pair of budget headphones that has both a recognized brand name and wireless is not always the easiest thing. So when I discovered the Creative Sound Blaster JAM is Bluetooth enabled, supports NFC (near field communications) and retails for under $50 U.S., it certainly piqued my curiosity. 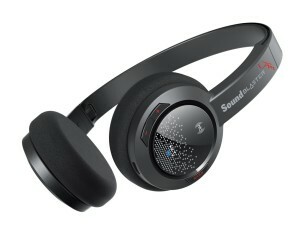 Sound Blaster Jam looks like a typical set of charcoal grey pre-millennium on-ear headphones fitted with a pair of traditional foam cushions except without wires. They have an operating range of up to 15 m, a little less than typical Bluetooth, but then again, the further you stray from your music source, the more breakup you’ll probably get. READ Full Review at G4TV Canada.